Papagayo Explorers Club pro bike guide Gabriel Chacón has been quietly building an alternate universe of singletrack in Palmares. "In a couple of hours, you can ride through tropical dry forest, coastal mangroves, and sandy beaches, see an amazing array of wildlife, and be back in time for breakfast." Thick tropical forests. Deserted beaches. The exotic around every turn. This is as far away from the typical land-locked biking terrain as you can get. And that’s precisely the attraction. Join us as pro mountain bike rider and trail designer Gabriel Chacón takes us deep into the wilds of Costa Rica’s Guanacaste province, along the coastal trails of Peninsula Papagayo. 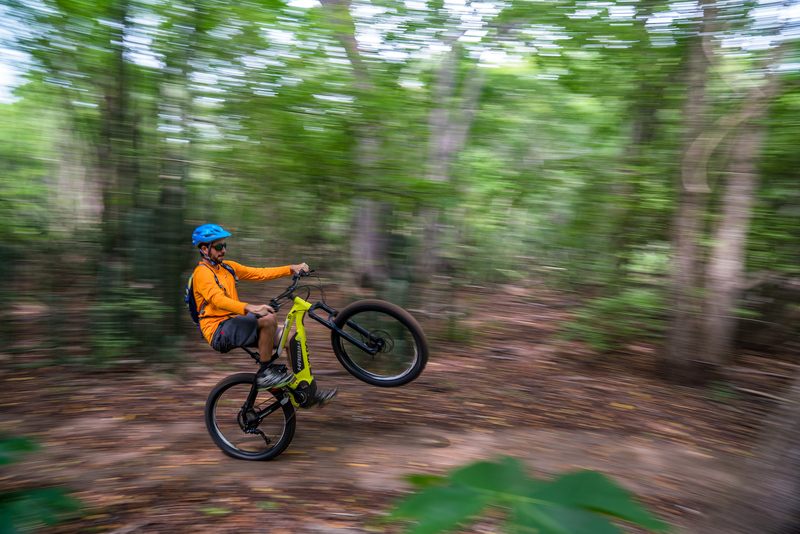 Chacón, who began riding at age six, won his first race at 10, and has successfully competed in both downhill and Enduro races locally, gets his adrenaline rush these days developing Peninsula Papagayo’s new coastal trails. 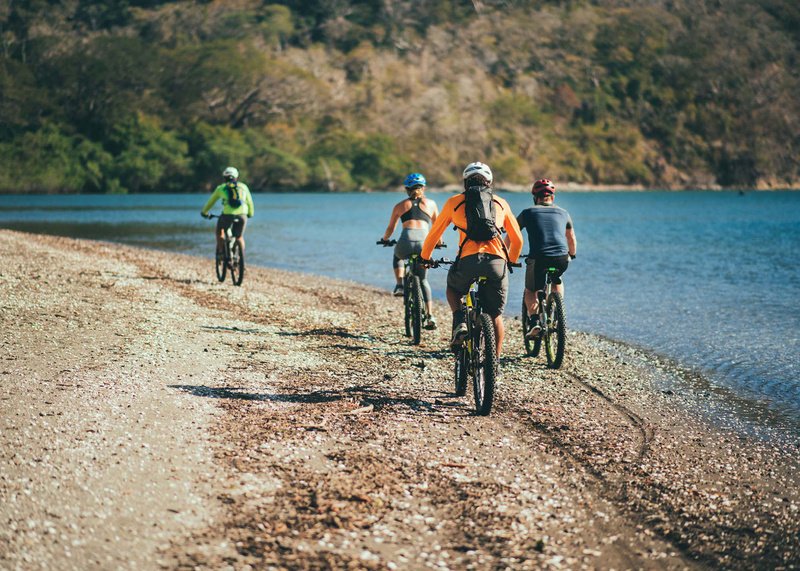 What was your vision for the mountain bike trails at Peninsula Papagayo? Chacón: We wanted to create an oasis for riders of all skill levels to bring their passion and experience another world. It feels like an alternate universe, surrounded by all of this crazy biodiversity. In a couple of hours, you can ride through tropical dry forest, coastal mangroves, and sandy beaches, see an amazing array of wildlife, and be back in time for breakfast. You have the rest of your day for other new discoveries. In a couple of hours, you can ride through tropical dry forest, coastal mangroves, and sandy beaches, see an amazing array of wildlife, and be back in time for breakfast. What ride should be on my bucket-list? Chacón: Guests rave about the Palmares trail, which shoots you out onto a hidden beach after screaming downhill through the forest. Coastal riding is a must-do while you are here. The hermit crabs and shorebirds never disappoint. The bike shop at Peninsula Papagayo has a pretty good selection of quality bikes. Which model do you like for these trails? Chacón: Electric-assist bikes are popular because of the climate and terrain. The Haibike XDURO AllMtn is an excellent choice for riders who want to keep the assist low and also have plenty of assist to choose from. You can cover a ton of ground and still have something left for the rest of the day. We also have Santa Cruz Tallboys, which are really fun when the trail turns downward. Chacón riding through one of three different micro-climates in Palmares. Photograph by Mark McInnis. Peninsula Papagayo is surrounded by wildnerness and national parks. Where do you go for a change of scenery? Chacón: Heli-biking singletrack at Rincón de la Vieja Volcano will change your life. The national park is heaven on earth for riders of all skill levels, and it’s all right here in our backyard. Rio Perdido is also nearby. With steep rocky climbs, ramps, and banks, it’s ideal terrain for more advanced riders. Coastal riding on Playa Palmares. Photograph by Noel Alva.